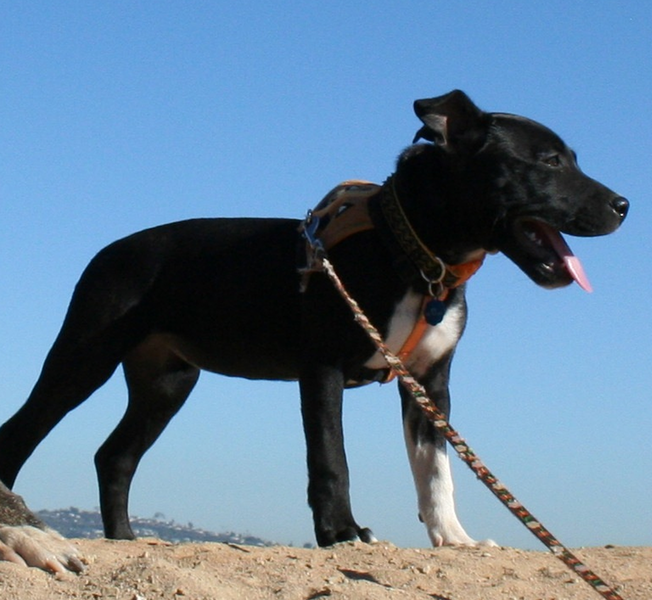 The Story of Mini starts at an Animal Control Center in San Diego where she was donated at just two months old. Dr. Elena Vassilev (“Dr V”) was informed that a puppy was being held there that was experiencing serious medical difficulties. 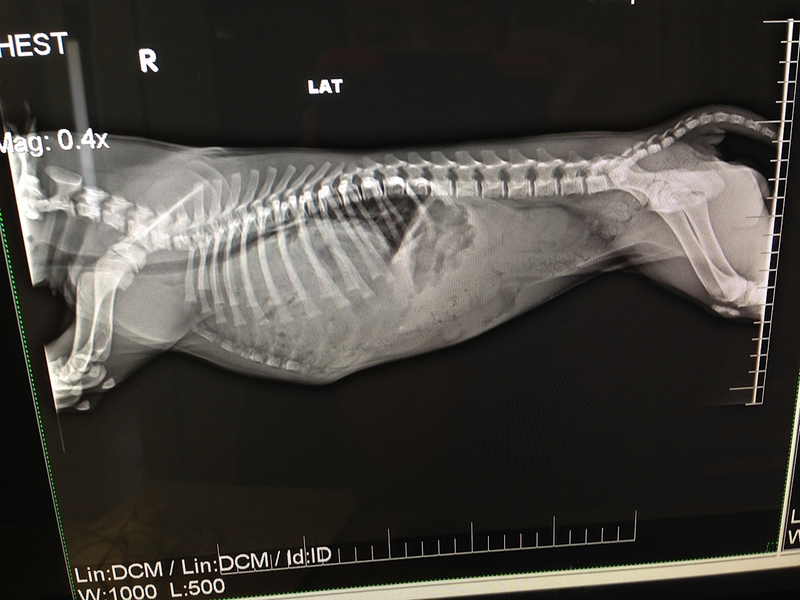 Indeed, x-ray analysis and other diagnostics performed by Dr V confirmed a congenital diaphramatic pericardial hernia—which is to say that the sickly little puppy had much of her digestive organs jammed up into her chest cavity. The prognosis was, as you could imagine, quite poor. Understandably, the puppy was having difficulty breathing. 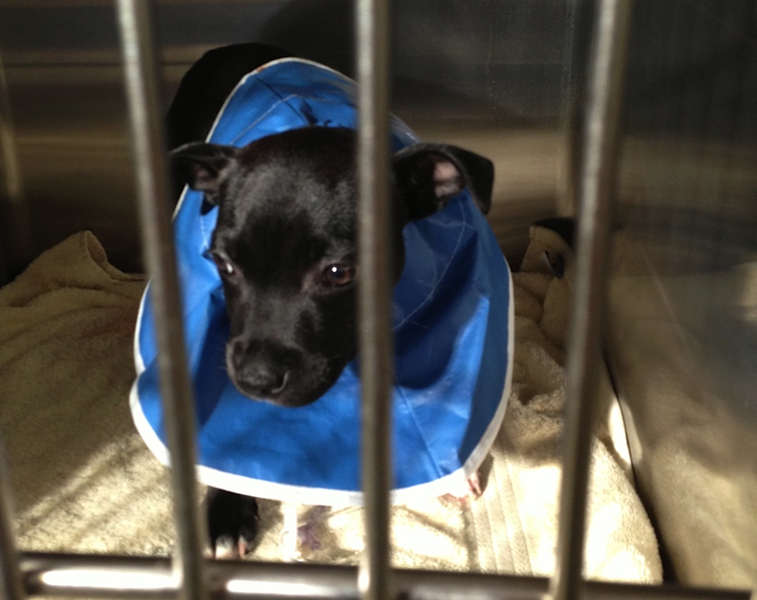 Dr V acted quickly providing the puppy an oxygen tent while preparing for surgery. The puppy was anesthetized and Dr V returned organs to their preferred location, then stitched up the diaphramatic hole. Recovery was tenuous at first, but gradually the puppy's ability to breath improved. Being a bit of a runt, the puppy was named Mini and became a member of Dr V’s pack. Currently, Mini enjoys rough-housing with the other dogs, chewing bones, napping and licking face. Dogs have a wonderful way of showing their appreciation and Mini is certainly no exception!